This book is about Divine Humanity, man's creative collaboration with God in the world. 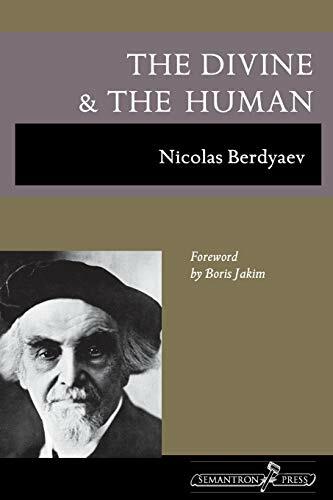 Nikolai Berdyaev's reflections on Divine Humanity lead him to outline a dramatic philosophy of destiny, a philosophy of existence which unfolds in time and passes over into eternity, into a state which is not death but transfiguration. He describes his method as existentially anthropocentric and spiritually religious; the dialectic of this book is a dialectic not of logic but of life, a living existential dialectic. He emphasizes that man must not only await a divine-human revelation, but work creatively to achieve one.